The fiduciary rule is dead, but its spirit lives on. Mutual fund companies routinely pay brokers to sell their funds to clients. 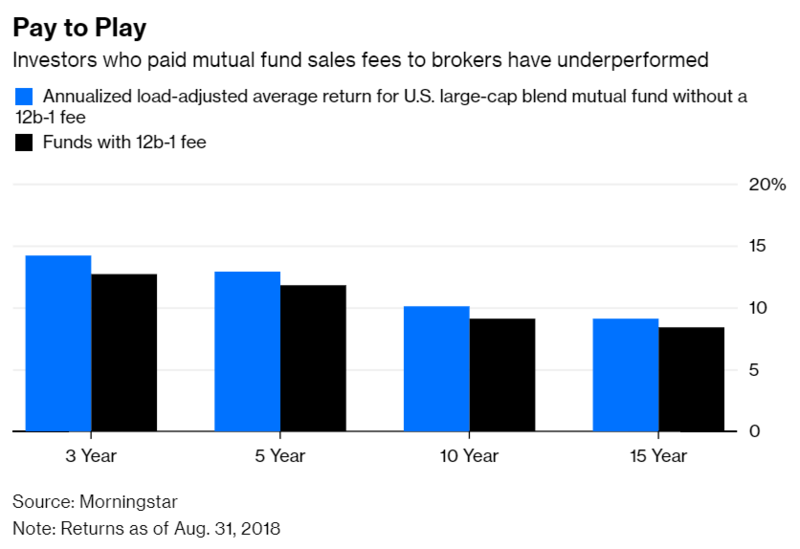 That payment is often an annual fee for as long as the client is invested in the fund — a particularly pernicious conflict of interest that gives brokers incentive to keep clients in high-priced and often poorly performing funds. As fiduciaries, brokers would most likely have to abandon the practice or at the very least disclose it to their clients. It’s time for financial professionals to become a profession in substance, not just in name. The Securities and Exchange Commission proposed new rules for brokers and financial advisers last week. Observers have understandably focused on the big change, which requires brokers to disclose their conflicts and look after clients’ best interests. But a more modest proposal deserves discussion. Namely, the SEC would subject financial advisers to continuing education requirements. It’s a wise move. Financial innovation is happening at a dizzying pace. More investment options are available today than ever before, spanning many different types of assets, geographies and investing styles, and new products are coming to market all the time. That’s a challenge for an aging industry. 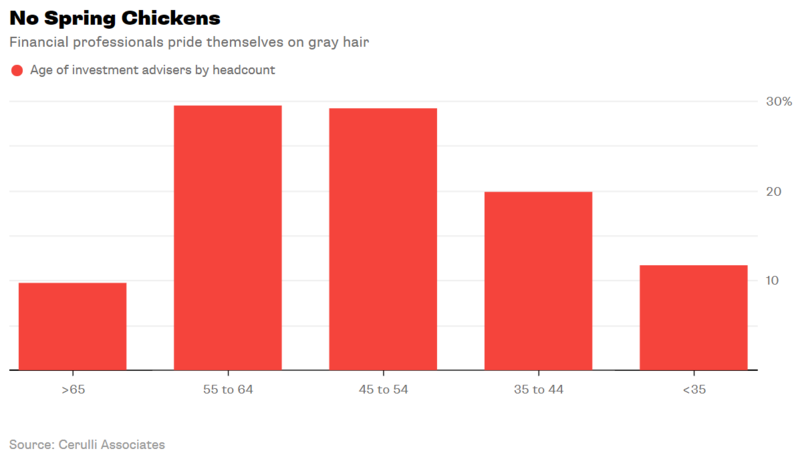 The average age of financial advisers is 50, according to Cerulli Associates, and just 11.7 percent of advisers are younger than 35. Whatever advisers learned when they were trained for the job decades ago is most likely outdated. The Securities and Exchange Commission just threw brokers a lifeline. They should grab it. Brokers’ troubles began in April 2015, when the Department of Labor first proposed its so-called fiduciary rule. The rule, which was issued a year later, requires brokers to act as, well, fiduciaries — or to put their clients’ interests ahead of their own — when handling retirement accounts. It was a big departure from business as usual. Fund companies and other purveyors of financial products typically pay brokers to sell their wares, which means brokers are incentivized to recommend those that pay them the most, not necessarily those that are in their clients’ best interests. The naked conflict doesn’t exactly promote trust, so brokers aren’t quick to disclose it to clients. All of that would obviously have to change under the fiduciary rule, and brokers fought back. They insisted they’re merely salespeople, dutifully executing orders for clients. And because they don’t give financial advice, there’s nothing wrong with selling the products that hand them the biggest bounty. For those who think a fiduciary-type rule is unnecessary, think again. The Wall Street Journal reported last week that “advisers at some of the biggest discount brokerage firms make more money if they steer clients toward more-expensive products.” That includes the big three discount brokers, Fidelity Investments, Charles Schwab Corp. and TD Ameritrade Holding Corp.
It’s hardly necessary to point out why such a compensation scheme is problematic. It means that representatives of broker dealers 1) are conflicted when giving investment advice to investors, and 2) have an incentive to recommend costlier investments over cheaper ones. What could be simpler or less objectionable? Yet brokers have fought the DOL’s fiduciary rule since it was first proposed last April. The rule is a small part of a larger sea change underway in financial services that will ultimately improve the quality and reduce the cost of investment advice, and brokers who are attempting to buck the trend will end up on the losing side of history.